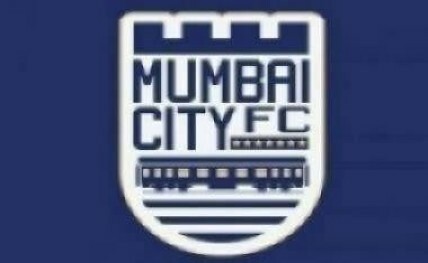 Mumbai, Feb 12: The stakes will be as high as ever when Mumbai City FC host NorthEast United FC as the race for the Indian Super League (ISL) play-offs gets closer at the Mumbai Football Arena here on Wednesday. The teams enjoyed strong runs before the league took a break for the Asian Cup, but they have have stuttered of late since the resumption. After two defeats on the bounce against FC Goa and Jamshedpur FC, what seemed like a certain qualification for Jorge Costa's men does not look so straightforward anymore with the teams below them climbing up the table. Mumbai are now second with 27 points but NorthEast are just three points behind in fourth place. "I will not change the way that we wish to play. They (NorthEast United) have very good players and are a very aggressive team. In terms of organisation, one of the best teams in India. We need to give our best. We want to finish the game and have three points," said Costa, who will miss captain Lucian Goian after picking up his fourth yellow card. Three league games remain for Mumbai to reignite their campaign and a win against the highlanders will go a long way in sealing a berth in the last four. With the clash against NorthEast being Mumbai's last home game of the season, Costa will be keen to take maximum points before the tricky away clashes against ATK and FC Pune City. Schattorie's men currently occupy fourth place on the league table but with Jamshedpur FC and ATK hot on their heels, play-off qualification seems to be in jeopardy with three games remaining. "It is all or nothing. I told my players that the phase you are going into now is a phase that is done within a second. Your mindset needs to be completely different from that at the beginning of the season. You cannot afford to make mistakes, especially at this stage because now Jamshedpur FC is very close and ATK a little bit away. How to win is not important, we need three points," said Schattorie. Among the current top five teams in the table, the highlanders have been the least prolific in front of goal with 19 goals in their 15 games so far. The side have been highly reliant on Nigerian striker Bartholomew Ogbeche and Uruguayan attacker Federico Gallego who have together combined for 15 of NorthEast United's 19 goals. The recent 1-1 draw against Delhi Dynamos at home was not the result Schattorie's men would have wanted with the playoffs race as tight as ever. Injuries to players like Mislav Komorski have not helped Schattorie either.